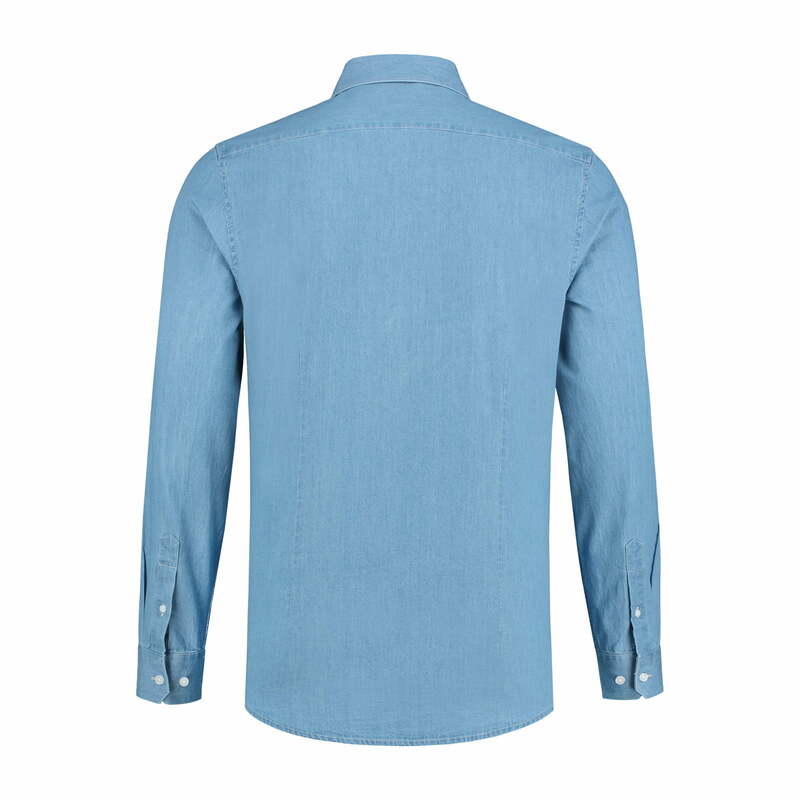 Our TÖRE Denim shirt is cut from the finest 100% cotton denim fabric. This “Casual” shirt is made from premium two-ply cotton. Due to this amazing “twill” weave and stone wash finish this fine fabric is extremely warm & soft. The stone washed denim fabric creates an extreme level of comfort and feel. Our well-known modern slim-fit cut, clean design and exceptional cut-away collar set’s this shirt apart from others. Our TÖRE Denim shirt is cut from 100% pure cotton denim fabric. The special stone washed denim fabric makes this shirt extremely soft and comfortable. 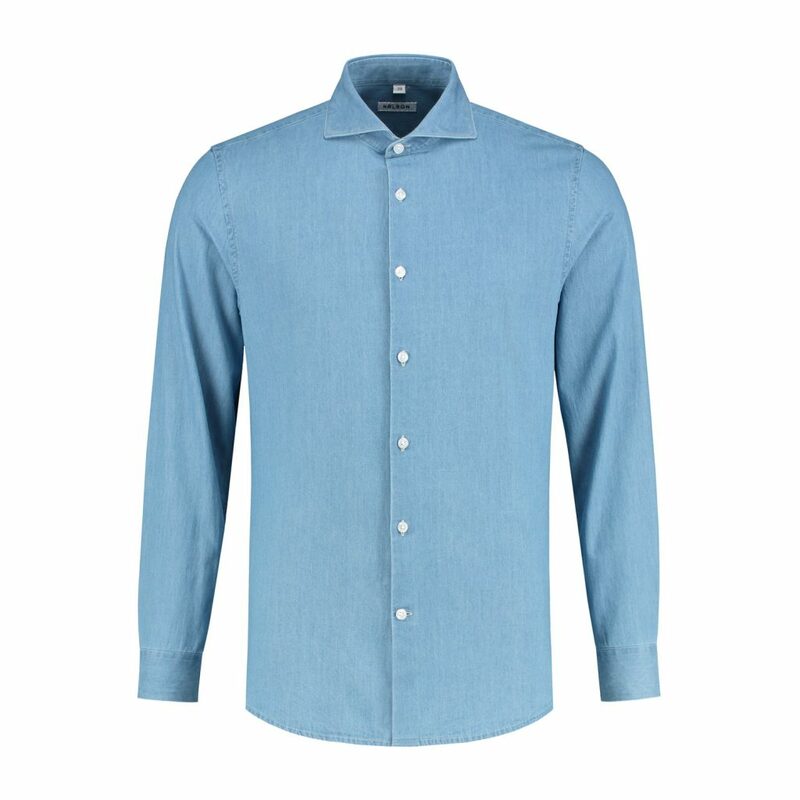 The TÖRE denim shirt has an authentic cut-away collar and is specially designed to wear on casual occasions. Due to the amazing “Twill” weave this fine fabric creates an extreme level of comfort and feel. Our modern slim-fit cut and exceptional cut-away collar sets you apart from others. The shirt is fitted with a single cuff applied with 2 horizontal buttons. This allows you to adjust the cuff to your preference. Furthermore we have included high end collar stays into the collar to improve collar strength and comfort. These collar stays can be removed or inserted by your preference.